It appears that the iPhone 4S has already started shipping out, as one lucky bloke in Germany has already received his pre-ordered unit. 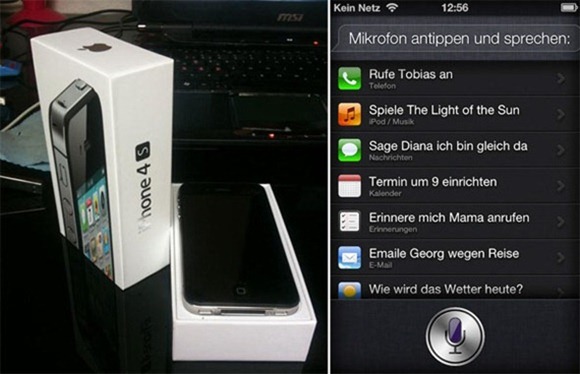 The news comes from MacRumors – a blog dedicated to covering all rumors related to Apple – in a short post where they discuss a photo sourced from Macerkopf.de which shows one iPhone 4S already delivered to a lucky customer in Germany, ahead of its official October 14th launch. The first iPhone 4S deliveries have already started arriving in customers’ hands. Several German customers have received their new phones several days before the official launch. Macerkopf.de posts a several images of the new device from different readers. The iPhone 4S was announced about a week ago at Apple’s Let’s Talk iPhone event at Apple Town Hall in the company’s own campus in Cupertino, California. The phone features a powerful dual-core chip, advanced optics and a voice recognition feature called Siri, we’ve discussed all three in detail in our post on iPhone 4S’ features and specifications, so you may want to check that out. 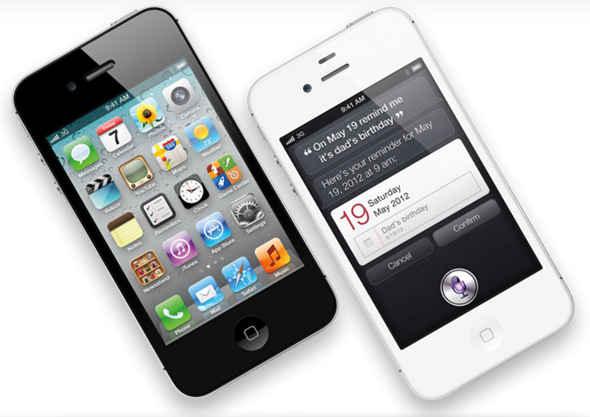 Pre-orders for the iPhone 4S went live on October 7th. The phone, despite receiving what appeared to be a mixed response at first, was sold out quite quickly. Apple later announced that the iPhone 4S broke previous pre-order records, as it was pre-ordered over a million times in its first 24 hours. The increased pre-orders come from the iPhone’s ever-increasing popularity and, of course, its availability on a new national wireless network Sprint. In other iPhone 4S related news, it was revealed that the dual-core Apple A5 chip in upcoming smartphone from Apple is actually underclocked to 800MHz (instead of 900MHz at which iPad 2 A5 is clocked) and that it has only 512MB of RAM. This may appear as a downside, but it really isn’t. Early benchmarks suggest that the iPhone 4S is actually faster than competing dual-core smartphones from the Android camp: the 800MHz A5 chip + 512MB RAM combination on the iPhone 4S easily beats the recently released Samsung Galaxy S II and Motorola Droid Bionic, both of which pack higher-clocked dual-core chips with double the RAM (1GB). Although Apple has run out of US pre-order allotments, you can still go ahead and pre-order iPhone 4S. Just keep in mind that you will have to wait an extra week (or two) for it to ship compared to folks who pre-ordered it early.